Florida-based ultra low-cost carrier (ULCC) Spirit Airlines reported a first-quarter net profit of $61.9 million, down 10.1% from net income of $69 million in the 2015 March quarter, as the airline continues to make adjustments under a new CEO. Spirit’s first-quarter operating revenue rose 9.1% year-over-year to $538.1 million while expenses increased 13.7% to $436.8 million, producing an operating profit of $101.3 million, down 7.3% from operating income of $109.3 million in the prior-year period. Spirit president and CEO Bob Fornaro, who took over the top executive job at the ULCC in January, revealed that the carrier is in the process of reworking its route network and fleet plans. While most of the route specifics won’t be revealed until the second half of this year, Fornaro and CFO Ted Christie told analysts on an April 26 conference call that Spirit is planning to operate fewer long routes and serve more medium-sized markets. 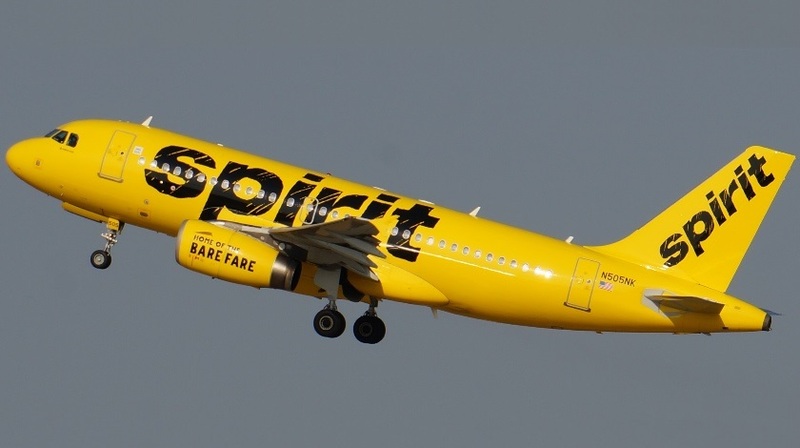 One consequence is that Spirit is moving away from retiring its fleet of 29 Airbus A319s, which had been scheduled to begin coming off lease this year. Mega-hubs Chicago O’Hare, Detroit, Dallas/Fort Worth, Atlanta, Houston Intercontinental and Los Angeles represent six of Spirit’s top eight markets in terms of daily departures. Fornaro said that while Spirit won’t be giving up the presence it has built at major US airports, the carrier is seeking to fly fewer long routes and also is looking to add more mid-size cities to its network. Fornaro said Spirit will definitely be cutting three routes this year: Fort Myers (Florida)-Atlanta, Fort Myers-Dallas/Fort Worth and Chicago O’Hare-Philadelphia. Spirit’s first-quarter traffic increased 26.2% year-over-year to 5.07 billion RPMs on a 26.5% rise in capacity to 5.98 billion ASMs, producing a load factor of 84.7%, down 0.2 point. Yield dropped 13.6% to 10.61 cents. Spirit, which grew capacity 30% in 2015, is targeting a 20% capacity increase for the full-year 2016.